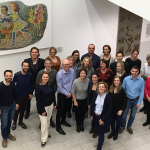 KidsAP started on 1st January 2017, over the next 42 months the consortium will assess the ability of the artificial pancreas to improve glucose control in the most vulnerable population with type 1 diabetes, children aged 1 to 7 years. The KidsAP project is divided into work packages. The main study, KidsAP02 will compare closed loop intervention over 12 months with either full strength or diluted insulin as determined by the pilot feasibility study KidsAP01, with state of the art Predictive Low Glucose management insulin pump therapy using the standard Medtronic 640G pump. 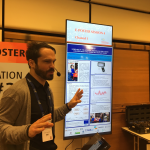 This project has received funding from the European Union’s Horizon 2020 research and innovation programme under the grant agreement No 731560. 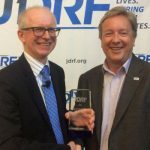 The Jaeb Center for Health Research is funded by JDRF under the grant 3-SRA-2016-297-M-N.